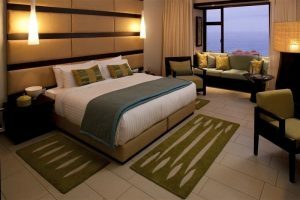 Zimbali Resort Hotel, situated inside the exclusive Zimbali Coastal Estate, is a tranquil retreat offering the utmost in stylish comfort and unrivalled service. Located 5 minutes from the bustling holiday town of Ballito, 20 minutes from Umhlanga and 30 minutes from Durban, this beachfront North Coast hotel provides easy access to the province’s attractions. 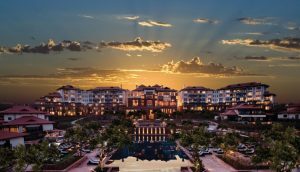 Situated 16 km from King Shaka International Airport, the Fairmont Zimbali Resort is easily accessible. Our 154 well-appointed rooms offer scintillating views of the Indian Ocean, oversized verandas, and elegant decor of stone, wood and earth tones inspired by the area’s breathtaking natural surroundings.